Brodynt delegates will be attending the upcoming GCCM event in London. We are proud sponsors of this event. This time, GCCM will take place at the Royal Lancaster Hotel in London on the 14th and 15th of February, 2018. This is the second year that Brodynt is sponsoring this event. Last year’s event was a great success and we decided to keep our sponsorship for this year to show our support. Brodynt will be sponsoring the Data-focused meeting tables and will be featured in the event’s magazine. Carrier Community (CC) is a global telecom club that was established in 2008 and has been organizing annual global carrier community meetings in London since 2008. CC is the organizer of GCCM 2018. Around +1000 club members from 450 telecom operators and 50+ countries representing decision makers from the Tier-1, Tier-2 and Tier-3 will meet and network in London. The Carrier Members get together from OTT, Data, MVNO, Voice, SMS, Mobile, VAS, Cable, Satellite, IX, ISP, Enterprise, Data Centers and other related segments. 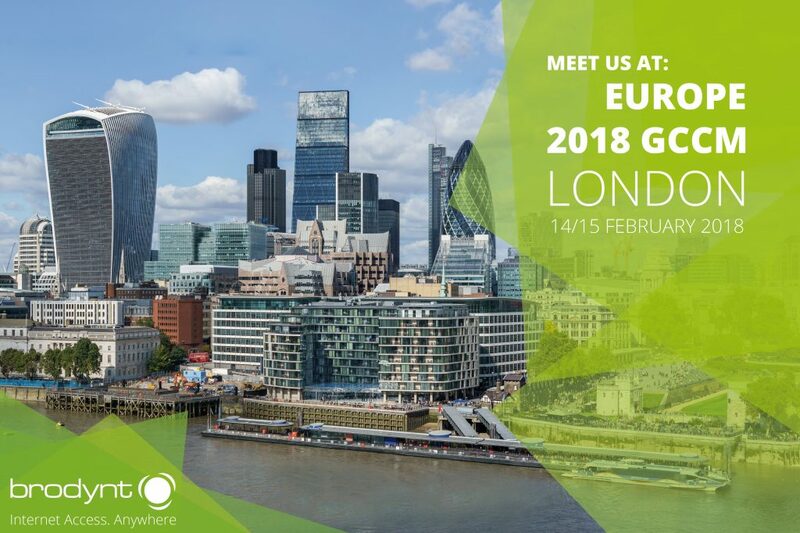 If you are planning to attend GCCM 2018 in London, we would love to hear from you! Feel free to contact us in order to arrange a meeting. We will be glad to meet you there and learn more about your connectivity needs. Our table is E39 (Cloud/Data Section). Remember that Brodynt means Internet Access. Anywhere.